With Christmas just a few weeks away we wanted to give you an update on what we have been up to, and a few ideas for Christmas gifts for the antique collector and horology enthusiast. As many of you will know, the gallery moved from Kensington to Devon at the end of April 2018. The new showroom in Devon is looking wonderful and we are always happy to welcome you if you want to visit. Alternatively, if you see something you like on our website, we can also arrange a visit in London. A new website is in production, and should be up and running in 2019. 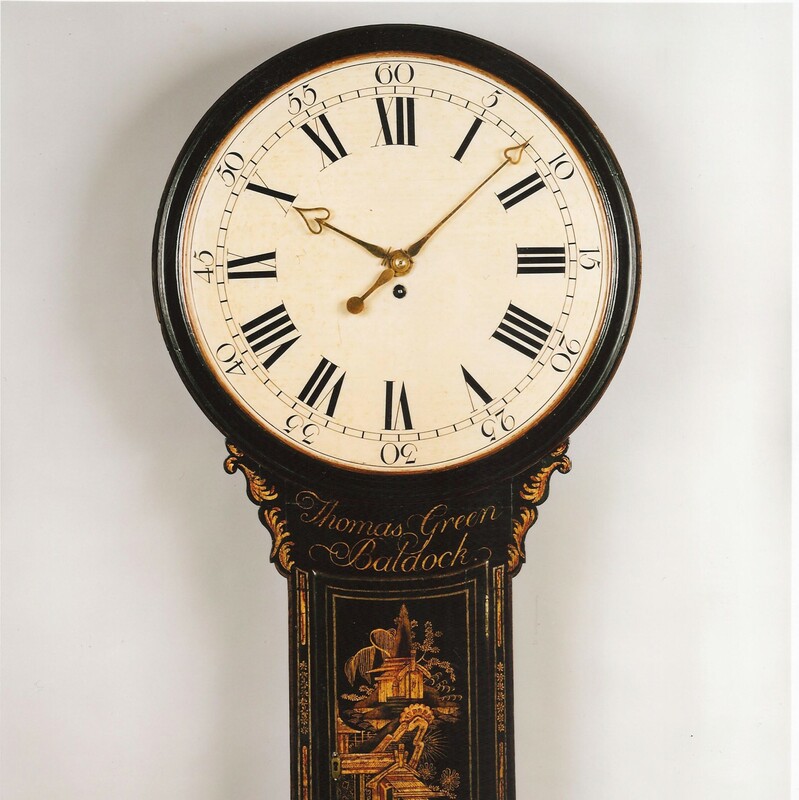 Don’t forget that a ‘white glove’ service, including delivery and set-up of a clock, barometer or piece of furniture to an address within mainland UK is always included with your purchase from us. Carved Oak Wall Clock by Lund & Blockley, London. Circa 1875. Raffety Ltd. If you are looking for a stylish present for Christmas and the holidays, we would suggest an antique barometer or a wall clock. Both will look amazing in any room or decor, from libraries and living rooms to kitchens. 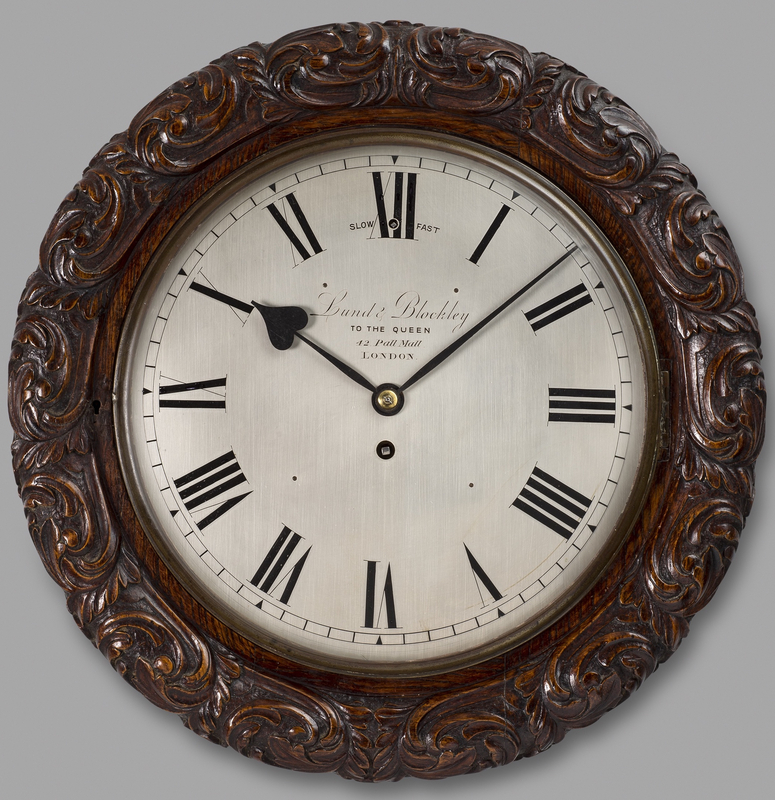 For example, this lovely wall clock with silvered dial and carved wood surround by Lund & Blockley, clockmakers to Queen Victoria, is an excellent choice. The 12 inch circular, silvered and engraved dial is signed ‘Lund & Blockley, TO THE QUEEN, 42 Pall Mall, London’ and has a Slow/Fast regulation square at XII. Georgian Satinwood Precision Barometer. Circa 1820. Raffety Ltd.
A barometer always makes a wonderful gift, and is especially good for the ‘weather conscious’ as well as dog walkers or those who love the outdoors. 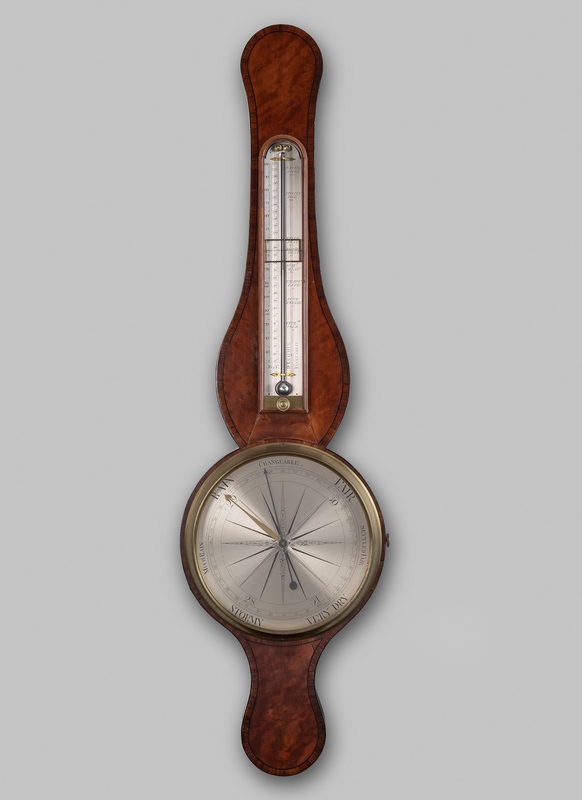 This Georgian period crossbanded satinwood precision barometer is a particularly fine example, and would have been both the height of technology and fashion in the 18th century. It has lost none of its style today. The scales on this example are of particularly exact calibration and enclosed within a concave brass bezel. 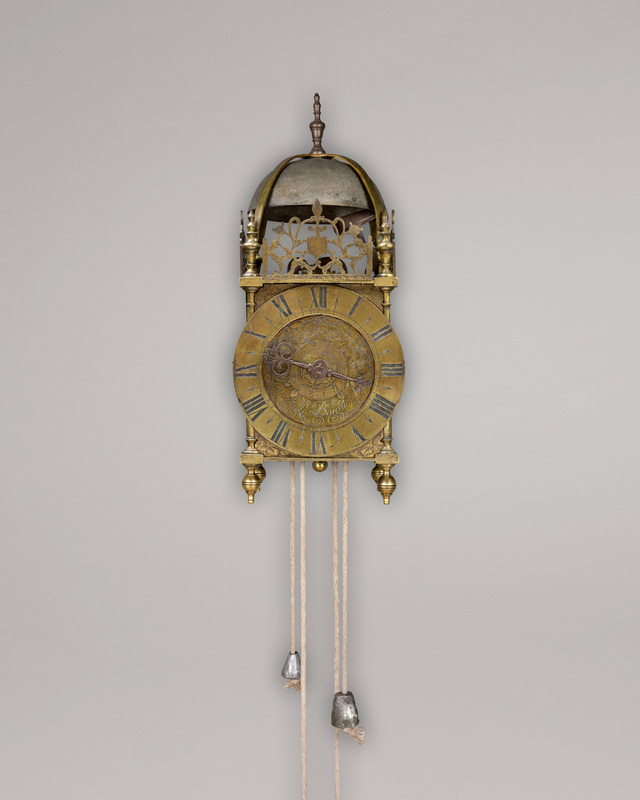 Lantern Clock by Francois Le Baigue, Paris. Circa 1700. Raffety Ltd.
Another option is this fine early 18th century French brass lantern clock by Francois Le Baigue of Paris, a recent addition to our stock. Or perhaps, if you prefer something for the mantelpiece or side table, choose a George II period inverted bell top bracket clock like this excellent example by Charles Blanchard of London, with rococo style decorative metalwork surrounding the arched brass dial. It dates to around 1750. 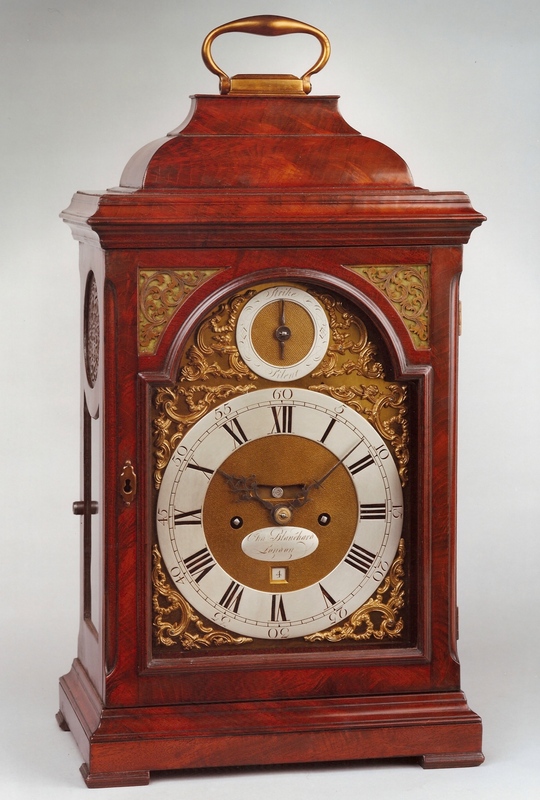 George II Bracket Clock by Charles Blanchard, London. Circa 1750. Raffety Ltd. 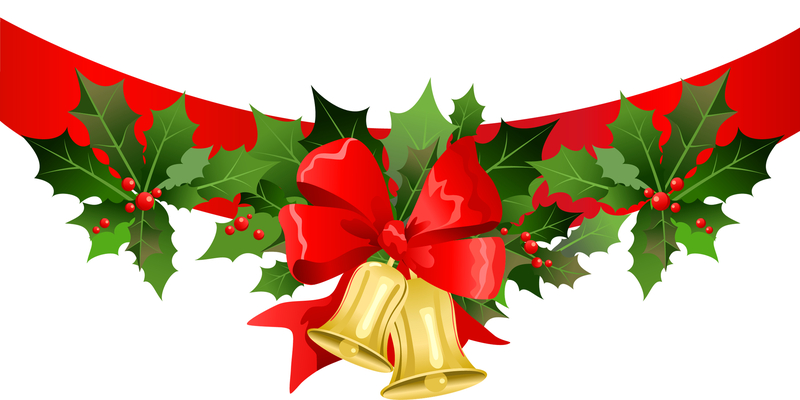 If you make a purchase before December 15th, we will ensure delivery to addresses within mainland UK before Christmas. We hope to see you in Devon soon, but until then, we wish you a very merry Christmas and a happy New Year! *Visit our website www.raffetyclocks.com for further details on these clocks & barometers. This entry was posted on December 8, 2018 by Discoveringclocks in 17th century, 18th century, 19th century, antiques, barometers, Christmas, christmas gifts, clockmakers, clocks, George II, Georgian England, horology, interiors, London clockmakers, Uncategorized, wall clocks and tagged 18th century, 19th century, barometers, Bracket clocks, christmas gifts, clockmakers, georgian period, horology, Victorian, wall clocks.